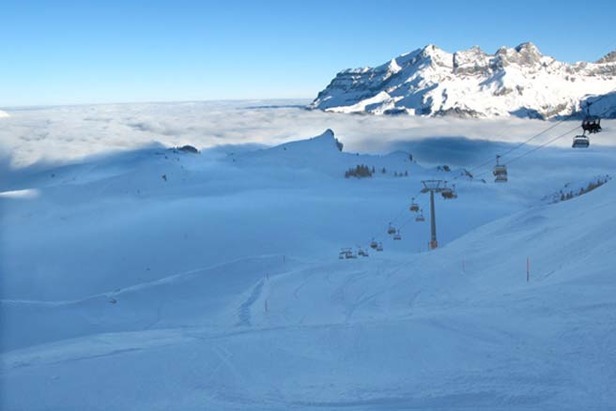 The resort is hosting a ski and golf festival over the weekend of 18th and 19th May 2012 to help publicise the fact that there's spring-like weather in the valley for golfers, and still awesome winter snow conditions on the slopes of Titlis for snow freaks. The golf tournament is played over 18 holes on Saturday at the resort's Golfplatz. The challenging golf course Engelberg is of course beautifully surrounded by mountains. The fairways are varied, the terrain mostly flat and the distances short. In the evening all participants meet for a sociable drink and dinner.